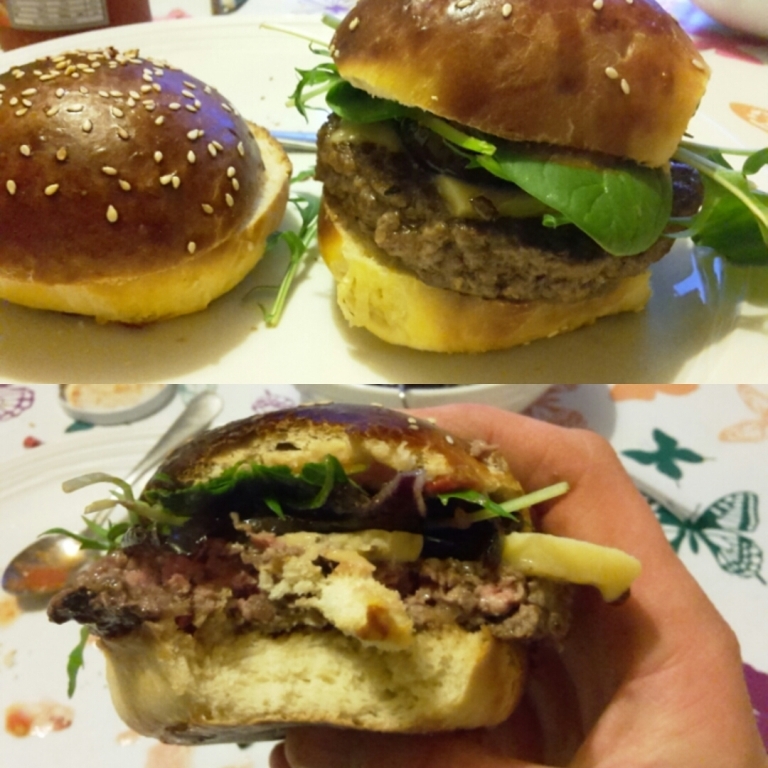 Okay so I thought it was about time I posted the recipe I used the other day when I made the brioche burger buns with my daughter, it's certainly BBQ weather at the moment and a homemade burger with some homemade buns goes down pretty well in the sunshine! This makes 48 buns so adjust for how many you want! Thanks to Carl for this recipe. Mix this first bit up about an hour before you want to get started, this gets the yeast working. Leave it covered somewhere warm. 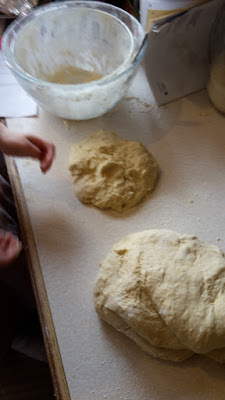 Add all the dry ingredients and mix together in a large bowl (very large bowl if you're doing the whole recipe above), then add in the flying sponge and the other wet ingredients and mix until it starts to pull together but bit form a dough. Then leave it to rest for 45 minutes. 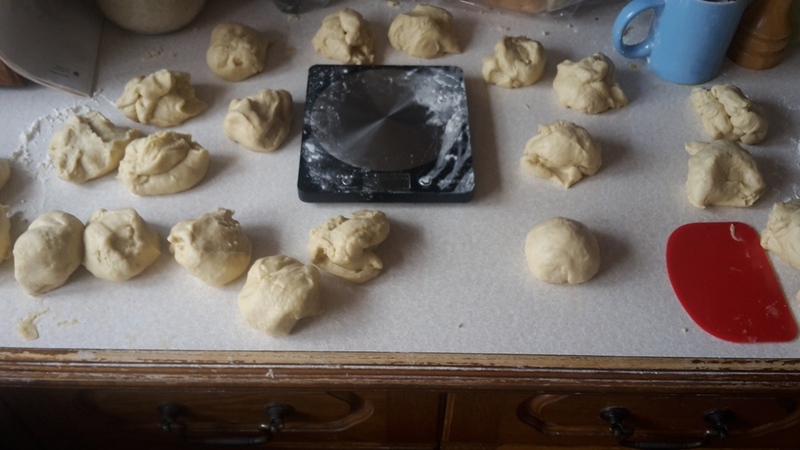 After the rest chop the dough into 90g (ish) bits and roll into round balls. 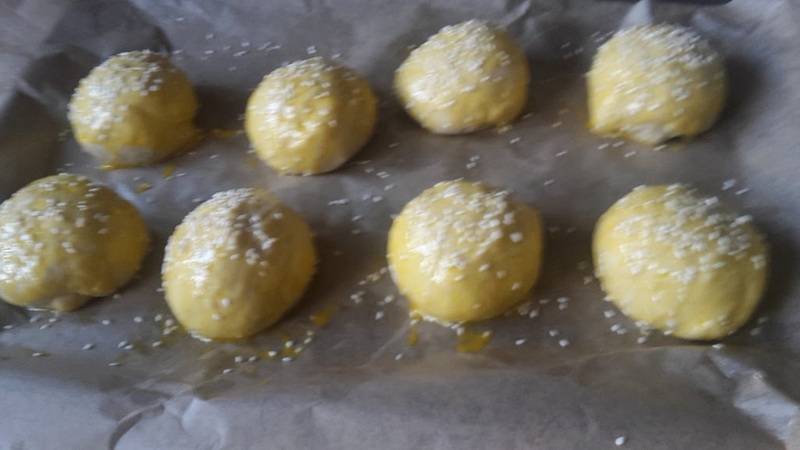 Lay them out on a baking tray leaving a good space between them. If you're planning on freezing some dough then this is the point where I popped them into the freezer on a tray, then once frozen I put them into freezer bags and sealed for another day. The use an egg wash to cover the dough and sprinkle sesame seeds on top, covert the dough (but not so it's touching it) and leave to double in size (about an hour or so). 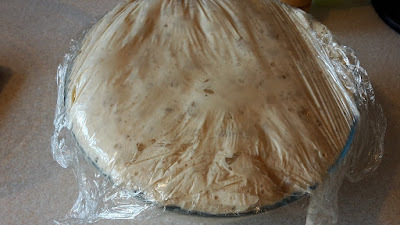 Ready for the next prooving then into the oven! Then pop into a pre-heated oven at 220 degrees C for 12 - 15 minutes until cooked through - be careful though as I find an egg glaze catches easily. Cool on a wire rack. 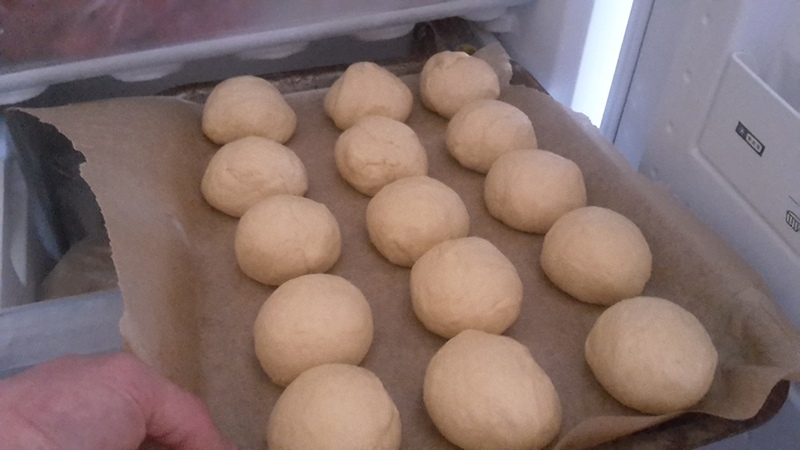 Finished buns! Worth the effort! Then shove in your favourite beef burger dripping with cheese and bacon, giant grilled mushroom stuffed with feta cheese, fried halloumi with courgette, minted lamb burger or anything else that you fancy, make sure it's big enough that you struggle to get your jaws around it and fill your face when no one is watching! Fill it up as much as you can! Those look really, really good and I especially like the idea of being able to freeze them until needed. My kind of recipe! Oh my! 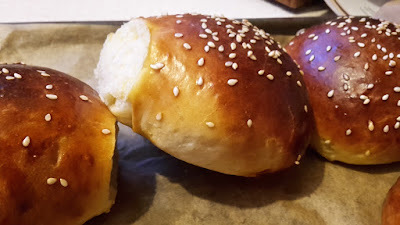 I love love love brioche. Will book mark this recipe. Glad you like them! I thought they were pretty good!